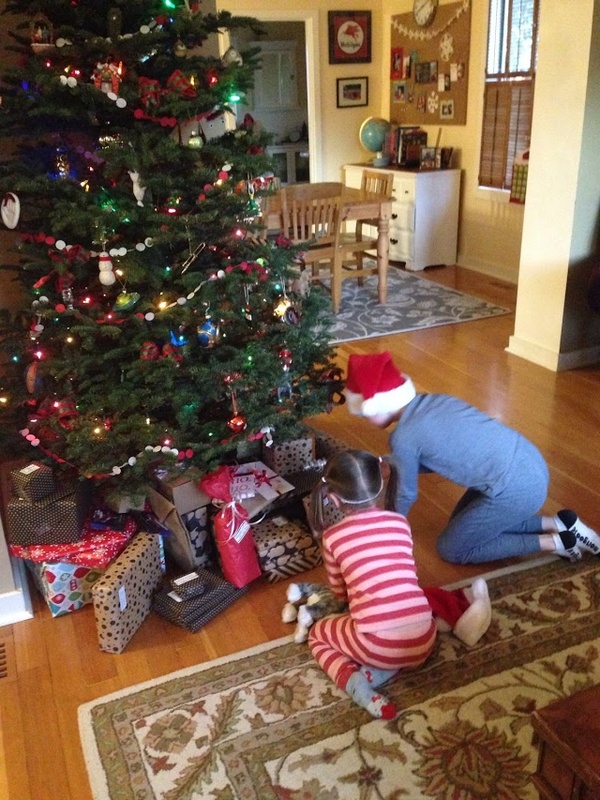 Merry Christmas, and Happy Holidays readers! I've been working very hard over the past couple of months, and thus have had less time (much less) than I've needed to devote here at 'Luke, I am Your Father'. But what better time than Christmas Day to check in and to let you know that the LIAYF clan are still here, enjoying our time together, sharing lots of love and happiness and, as always, growing older and wiser. 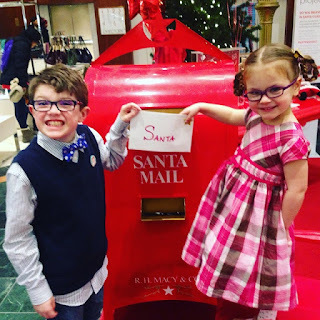 Thankfully, a couple of weeks ago Lukas and Annabelle mailed their Christmas letter, which Lukas carefully wrote to Santa for both of them. Annabelle, who is still crazy for Superman (as well as Peppa Pig, Hello Kitty, Rainbow Dash, Mickey Mouse....) only asked Santa for a pair of Superman headphones. 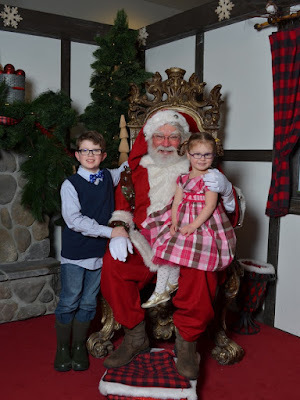 Lukas, who is 9 now, decided he would leave the decision to Santa himself, since "Santa knows me so well." Shortly after mailing the letter, they got to go tell the Jolly Old Elf himself, what they wanted. As you can tell, they were both extremely happy to see Santa. Especially Annabelle. 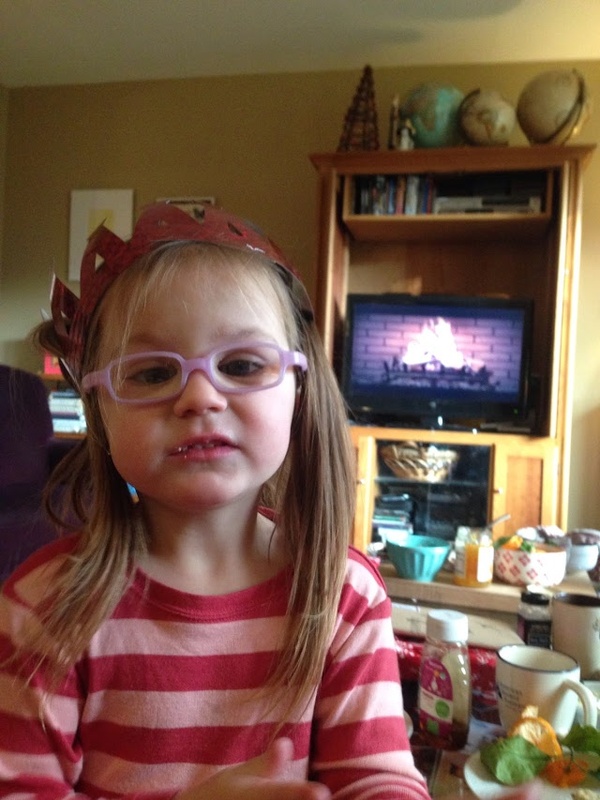 It was a wonderful Christmas morning, with lots of smiles, love, sharing, and even a fire burning in the TV cabinet. 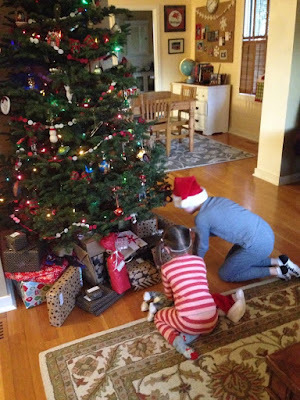 By the way, Annabelle did get her Superman headphones from Santa (she was thrilled), and Santa chose to give Lukas 'Bloxels' a cool video game creating gift, which he was so excited about, he didn't care to open the gifts Mrs. LIAYF and I had got him. He's still playing with it (and creating) right now. He was absolutely right. Santa does know him so well.